Here is your chance to own a first floor 2 bed 2 bath corner unit in the desirable Four Seasons riverfront community! This unit is bright with ample natural light from all the windows that overlook the garden. Tile throughout--great for sandy feet. Crown molding. Shaker white kitchen cabinetry & seamless corian counter tops. Generous closet space. Programmable Nest thermostat. NEW AC. Great outdoor space in your screened-in porch. Electronic storm shutters for all windows & sliders. Detached one car garage just across from residence. Beautifully maintained community with 2 pools, a boat ramp, boat launch, BBQ area, fishing pier and private river access. 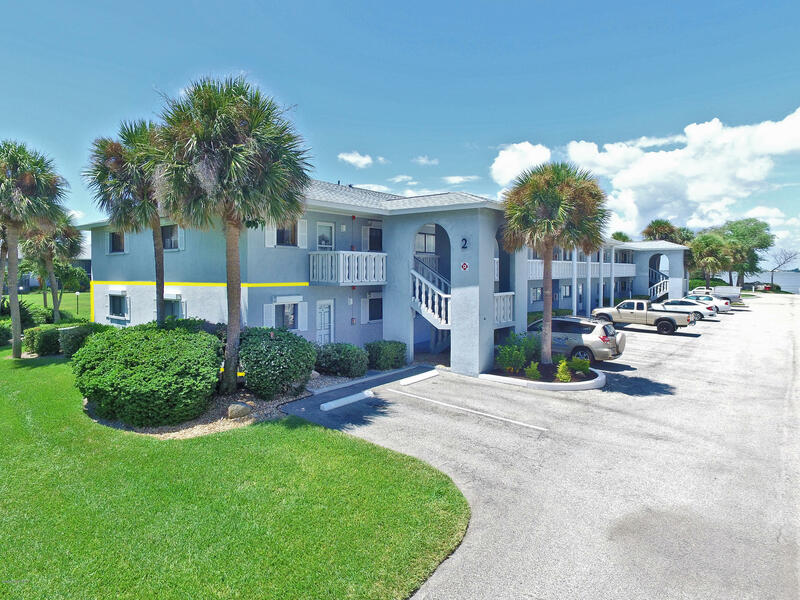 Down the road from the beach and within walking distance of restaurants & shopping. Come experience the tropical beach island lifestyle!